Step back in time to the 17th Century when Poltimore house played a crucial role in the English Civil War. 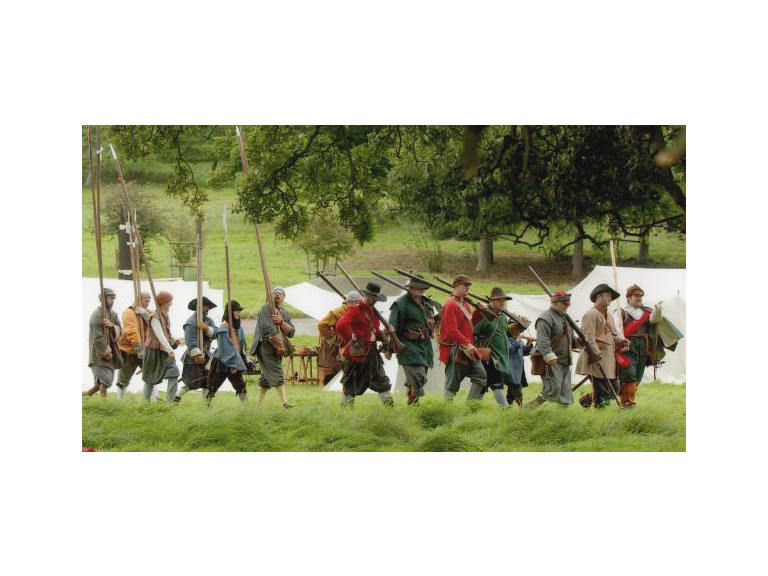 Wardour Garrison, the premier 17th century living history group as seen on TV, will bring the grounds to life with an encampment portraying trades, crafts and life as it was in 17th century England. Join the re-enactors who will demonstrate cooking over an open fire, lacemaking, spinning, and other activities. Watch the garrison put through their paces with weapon demonstrations, of musket, canon, pike bill and sword. Join the Apothecary for a Plant Walk identifying plants and herbs used in the 17th Century for medicines and other uses. Listen to a talk on the Treaty of Exeter in the Great Hall, the very room in which it was signed on 9th April 1646 bringing to an end the Parliamentarian siege of Exeter.